Worldwide, the clean energy sector roared back from flat recessionary levels, increasing 30 per cent above 2009 levels to achieve a record $243 billion worth of finance and investment in 2010, said a study conducted by The Pew Charitable Trusts. Worldwide investments, excluding research and development in clean energy are 630 per cent greater than they were seven years ago. With more than 90 per cent of worldwide investment, the G-20 members continue to dominate the clean energy landscape. Clean energy investment in the Asia/Oceania region continued its sharp rise, increasing 33 per cent in 2010 to $82.8 billion. Among the various clean energy technologies, the solar sector grew the fastest, with investments increasing 53 per cent over 2009 levels. Wind investment levels increased by 34 per cent in 2010, and wind energy remains the leading recipient of clean energy investments. Among the other clean energy subsectors, biofuels was notable for its ongoing slump. 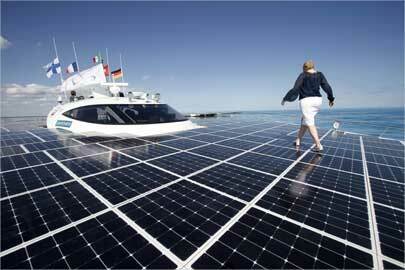 Image: A woman walks on the deck of the world's largest solar-powered boat -- The Turanor Planet Solar. China's continued ability to attract record levels of clean energy investment has made it the global clean energy superpower. In 2010, investment in China's clean energy sector increased to a record $54.4 billion, 39 per cent higher than 2009 levels. 2010 clean energy investments in China alone are equal to total global investments in 2004. With aggressive clean energy targets and clear ambition to dominate clean energy manufacturing and power generation, China is rapidly moving ahead of the rest of the world. In 2010, it accounted for almost 50 per cent of all manufacturing of solar modules and wind turbines. China's installation of less than 1 GW of solar energy capacity demonstrates that most of its production is for export markets. In contrast, 17 GW of wind energy was installed in China in 2010 helping the nation move quickly toward its 2020 target for installing 150 GW of wind. 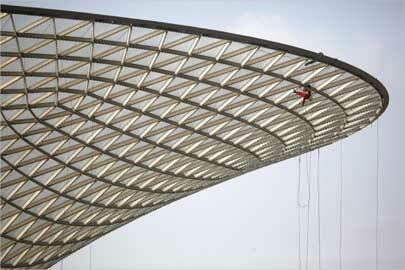 Image: A worker cleans the exterior of the Sunny Valley, a structure to harness solar energy, at Shanghai. propelling the country to second place among G-20 countries in 2010 from third place in 2009. Clean energy investments in Germany were dominated by purchases of small-scale, rooftop solar energy projects. investments were directed to small-scale projects. Germany accounted for 45 per cent of total investment directed toward the solar sector among G-20 members and remains one of the largest producers of solar panels in the world. 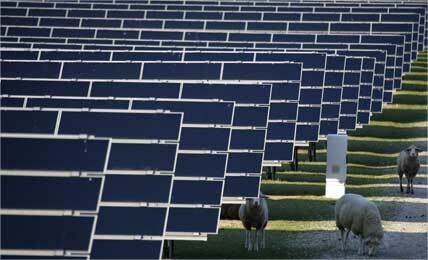 Image: Sheep graze between the solar panels of a park in Waghaeusel, Germany. Although clean energy investment increased 51 per cent in 2010 to $34 billion, the United States fell to third place among G-20 members, one year after it lost top billing and slid to second place. For a variety of reasons, the United States' competitive position appears to be eroding. The United States also has fallen to second place in installed clean energy capacity, behind China and just ahead of Germany. Although it is second in wind energy capacity globally, the United States installed 50 per cent fewer gigawatts of wind power in 2010 than it did in 2009. 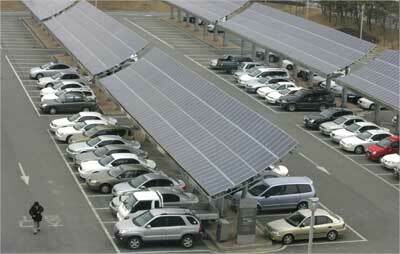 Its installed solar power capacity ranks fifth in the world. Image: The sun rises behind windmills at a wind farm in Palm Springs, California. In 2010, Italy had the G-20's third-highest increase in clean energy investment, which rose 124 per cent to $13.9 billion. As with Germany, favorable feed-in tariffs have helped spur additions of small-scale distributed clean energy capacity. Given the high cost of traditional electricity, Southern Italy is the first region in the world to achieve grid parity, or cost-competitiveness, for solar energy. 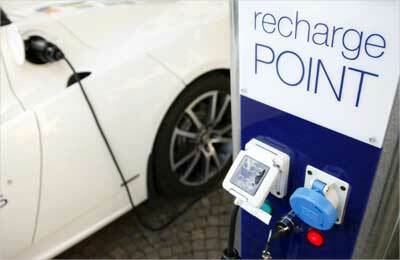 Image: A Tesla Roadster electric car is recharged in Rome. The European Union countries not profiled independently in this report accounted for $13.4 billion worth of clean energy investments in 2010, making it fifth overall among G-20 members. Investments increased a modest three per cent in 2010. These nations have a total installed renewable energy capacity of 39.8 GW. The EU has strong communitywide targets, including 10 per cent of electricity produced from renewable sources by 2010 and five per cent of fuel consumption from biofuels by 2020. * The 'Rest of the EU' category includes Austria, Belgium, Bulgaria, Cyprus, the Czech Republic, Denmark, Estonia, Finland, Greece, Hungary, Ireland, Latvia, Lithuania, Luxembourg, Malta, the Netherlands, Poland, Portugal, Romania, Slovakia, Slovenia and Sweden. 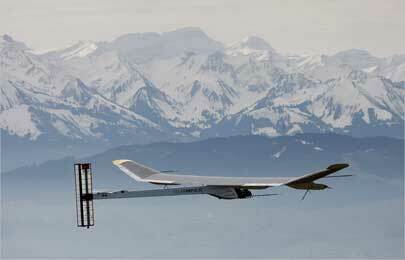 Image: The solar-powered Solar Impulse HB-SIA prototype airplane during its first flight. Brazil's total clean energy investment in 2010 was $7.6 billion, with 40 per cent invested in biofuels, 31 per cent in wind, and 28 per cent in other renewable energy sources. Brazil is also ranked sixth among the G-20 for five-year rate of investment growth, which stands at 81 per cent. Brazil is also among the top 10 countries for amount of GDP invested in clean energy. With almost 14 GW, Brazil has the world's seventh largest installed clean energy capacity to complement its significant biofuels capacity. 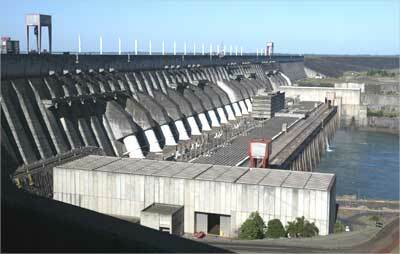 Image: Itaipu Hydroelectric dam, the world's largest operational electricity generator in Brazil. Canada investment is a 61 per cent annual increase. 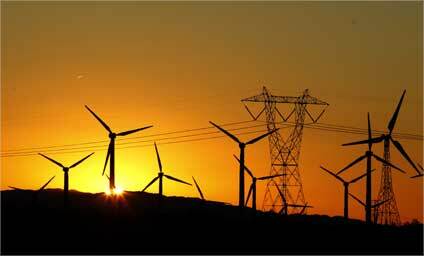 Fifty-two per cent of 2010 clean energy investment was directed to the wind sector, with solar attracting 24 per cent. Canada has 7.6 GW of renewable energy, placing it in the 12th spot among G-20 members. Canada is 4th in the world for dollars of GDP invested in clean energy. Wind and small-hydro are the leading clean energy sectors and benefit from strong support from provincial governments. Image: Windmills generate electricity at the foothills of Rocky Mountains, Alberta. Spain, although not an individual member, is associated with the G-20 through its membership in the European Union. Investment declined 54 per cent in 2010, as the nation addressed fiscal imbalances and rolled back feed-in tariffs. Still, Spain attracted $4.9 billion in clean energy investments. Eighty-six per cent of clean energy investments went to the solar sector in 2010. 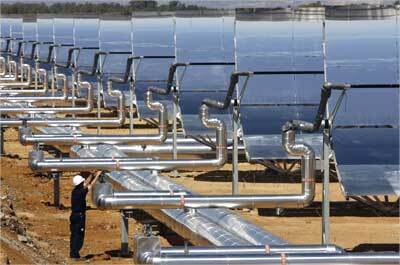 Image: A worker at a parabolic trough solar thermal power plant in Alvarado, eastern Spain. In 2010, France saw clean energy investments increase 26 per cent over 2009 to reach $4 billion, allowing the country to break the ranks of the G-20's top-10 countries for investment at 9th place. France's strong growth was driven by a surge in small-scale solar energy projects, which increased by 150 per cent. Solar investments accounted for $3.6 billion, or 90 per cent, of all clean energy investments in France. 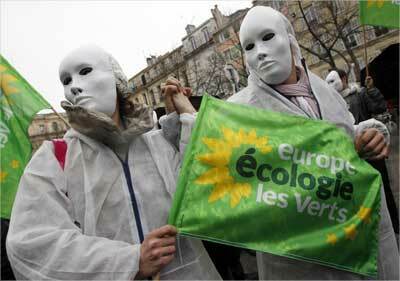 Image: Members of the French Europe Ecologie-Les Verts Green Party participate in a protest. India continued its ascent as a top destination for clean energy investment. In 2010, India attracted $4 billion in private investments, ranking 10th among the G-20 countries. It also ranked 10th for five-year growth rates for renewable energy capacity and seventh worldwide in the amount of installed capacity. With a target of deploying 20 gigawatts of solar generating capacity by 2020, the country is poised to further grow its share of this sector of the economy. "Rapid growth and fierce competition have marked the global clean energy sector, in which worldwide clean energy investment and finance has grown 630 per cent since 2004," said Phyllis Cuttino, director of Pew's Clean Energy Program. 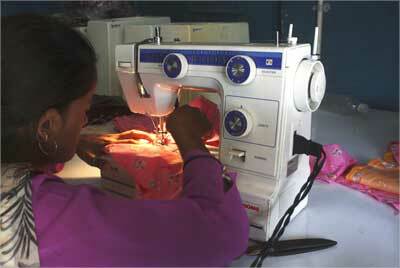 Image: A woman sews clothes on a sewing machine driven by solar energy in Ahmedabad. Clean energy investment in Japan increased a modest 10 per cent to $3.3 billion in 2010, placing it 11th among G-20 members. Japan's five-year growth rate in clean energy investments ranks last in the G-20. Japan's clean energy sector is dominated by solar, which received 96 per cent of the nation's clean energy investments. Japan has almost 20 gigawatts of installed biomass energy, and its steady adoption of solar energy has resulted in 3.5 GW of installed capacity. Japan has set ambitious targets to source 28 GW from solar and 5 GW from wind by 2020. 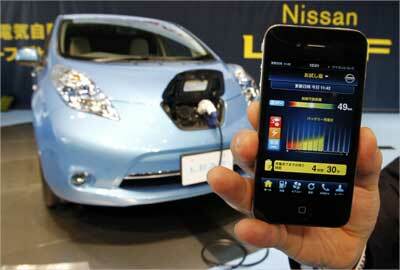 Image: A smartphone shows a battery residual quantity meter of Nissan Leaf in Yokohama, Japan. Australia's 2010 clean energy investments increased sharply to $3.3 billion, placing it 12th among G-20 members. Investment in the sector increased 104 per cent, fueled by more than $1 billion worth of investment in new solar capacity. Australia has a diverse clean energy portfolio, led by the wind sector, which attracted 57 per cent of clean energy investment in 2010. Image: A surfer rides his bicycle next to a solar-powered parking meter at Bondi beach in Sydney. The United Kingdom saw a sharp 70 per cent decline in clean energy investment, dropping the nation out of the top 10 among G-20 countries. Investments in 2010 totalled $3.3 billion, compared with 2009 levels over $11 billion. Fifty-two per cent of clean energy investments were directed to wind energy. 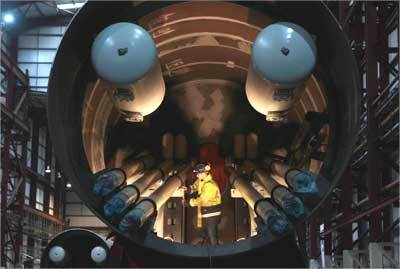 Image: An engineer works inside a section of a Pelamis wave energy converter at their factory in Edinburgh, Scotland. Mexico attracted $2.3 billion in clean energy investments in 2010, placing it 14th among the G-20 members. Mexico's 273 per cent growth in 2010 was the second highest among G-20 members. Existing renewable power capacity is primarily for supply to remote areas with an unstable grid. 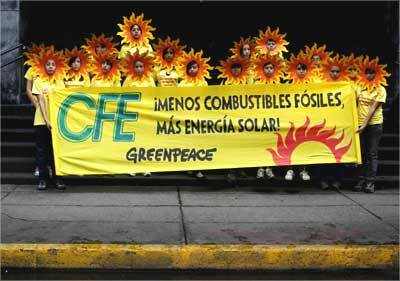 Image: Greenpeace activists take part in a protest against the use of fossil fuels in Mexico City. Turkey's five-year investment growth rate is the highest in the G-20, but its clean energy economy remains small. Ninety-one per cent of 2010 investment was in the wind sector, the leading clean energy source in Turkey. 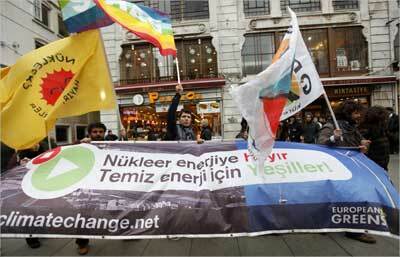 Image: Activists march during a protest against the Turkish government. Argentina has experienced significant growth in recent years, and led the G-20 in 2010 with 570 per cent growth over last year. Argentina's 115 per cent growth rate over the past five years places it 2nd among the G-20. 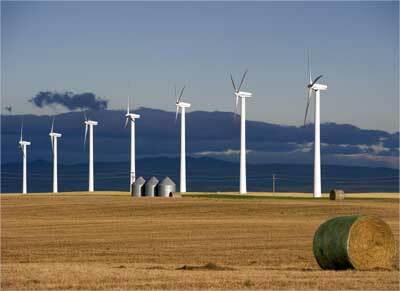 Wind investments increased significantly in 2010, accounting for 62 per cent of the total. 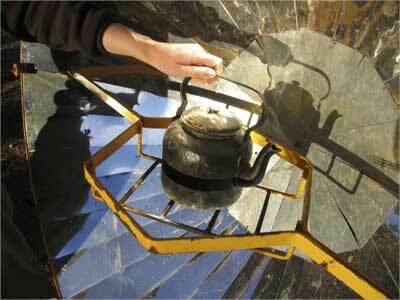 Image: A kettle is placed on a solar cooker in a village in Argentina. Eighty-two per cent of 2010 clean energy investments were in the solar sector. The nation also has ambitions to become a supplier of wind turbines. South Korea has 660 MW solar and 330 MW of wind and aims to have 3 GW of installed clean energy capacity by the end of 2011. Image: A man walks beside solar panels at a parking lot in Kwangju, Seoul. Almost all clean energy investment in Indonesia has been directed to geothermal energy. Image: An environmental activist carries a globe during a protest near the World bank office in Jakarta.